As a new term starts at the Loughborough College Space Engineering course, the College and the National Space Academy say goodbye to the third cohort of students, who are starting their new courses this month. This group have gone on to a varied mix of courses, with engineering disciplines (Materials Engineering, Aerospace Engineering) and aerospace related degrees strongly represented. Brooklands College is about to become the third college in the UK to start offering the Space Engineering Level 3 Course developed by the National Space Academy. The school joins Loughborough College and Salford City College in providing 16-18 year olds with A-levels in Physics, and Maths and a BTEC Level 3 in Engineering, all taught through context of space. 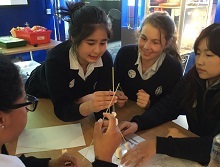 This year saw the National Space Academy take part in more Big Bangs than ever before, with Academy core team members and Lead Educators running a Megaclass at the Big Bang South West, as well as multiple Masterclasses at the four Big Bang events across London. The National Space Academy Symposium is an opportunity for all of the National Space Academy staff, core team and Lead Educators, to review the past 12 months, and also look to new and exciting projects for the future. This year, the pinnacle of the Symposium was the demonstration of the soon to be released Astro Academy: Principia teacher resources. Becoming an astronaut is often seen as the very pinnacle of any space industry and never more than now is that the case in the UK, with UK ESA Astronaut Tim Peake currently in orbit; however being an astronaut is only one career path, within one of the many avenues in the UK space sector. This was the message of the 'Not just an Astronaut' Day hosted by the National Space Academy at the Rutherford Appleton Laboratory. 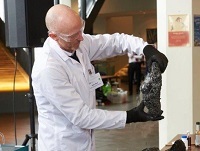 Over 100 young people from 20 local schools got stuck in to science and engineering at the Highlands and Islands Celebration of Engineering and Science event held at the Eden Court Theatre (Inverness) on March 11th. The Space Research Centre at the University of Leicester has a new vacancy for a Space Instrumentation Apprentice. 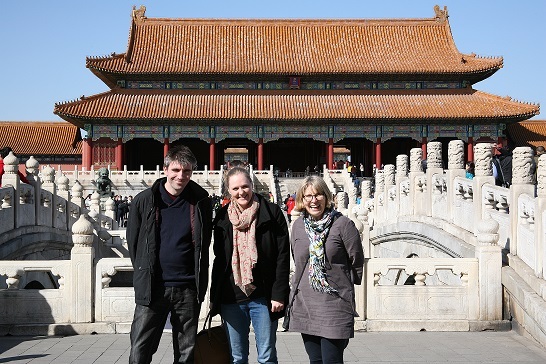 British Science and Engineering week saw numerous Academy masterclasses delivered in the UK - and an entire programme of workshops funded by the British Council delivered at international schools in China. 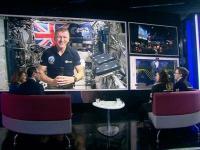 Yesterday three students from the National Space Academy's Space Engineering course at Loughborough College were called upon to help Sky News interview Tim Peake via live link with the International Space Station. 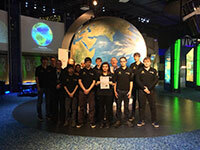 Producers from Sky News worked with the National Space Centre to broadcast the link-up live to the centre's family visitors and fellow students from the course. 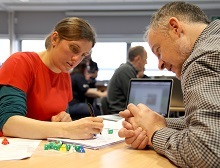 To best highlight the work of the National Space Academy, lead educators were invited to run CPD workshops in two locations during March. 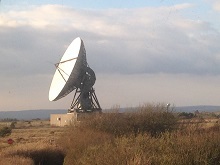 The first was as part of the Prince's Teaching Institute CPD Subject Days and the second was a showcase for teachers in Cornwall hosted at the Goonhilly Earth Station.